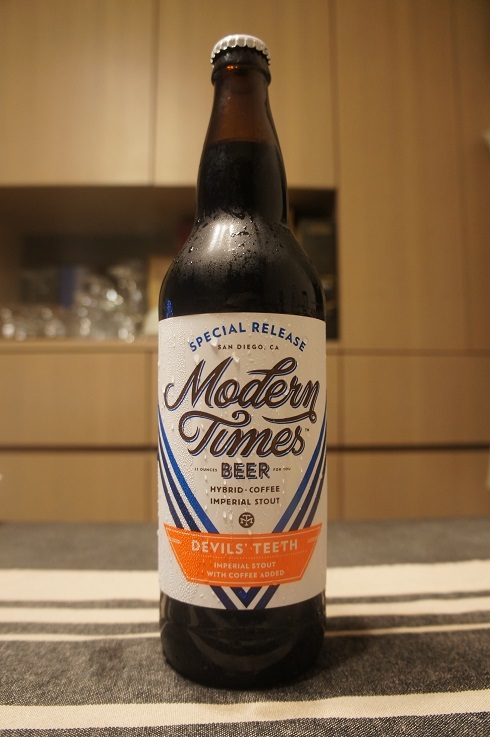 Brewer Description: (from bottle) Devil’s Teeth is a hybrid of an Old Ale and an Imperial Stout, two English beer styles designed to withstand long voyages and dark winters. It brings rich maltiness & robust roastiness in a thick, tongue-coating, aggressively flavorful package. To this chewy mix of old world beasts, we brought a massive dose of our house roasted Black House Blend coffee, a complimentary mix of blueberry-forward Ethiopian and chocolate-forward Sumatran coffee. Intro: A 22 fl. oz. bomber with no clear bottled on or best before date. Poured into a snifter glass. Appearance: Dark brown in colour with a nice one fingered tanned head that had decent retention and eventually settled to a ring around the glass while leaving only sparse spotty lacing. Aroma: Sweet dessert like, chocolate, brown sugar, dark fruit, molasses and coffee. Taste: Lightly bitter coffee bean, sweet chocolate, roasty coffee, nearly burnt caramel with hints of dark fruit. Mouthfeel: Creamy, medium bodied with low to moderate carbonation and light booze. Overall: A self described hybrid Old Ale and Imperial Stout. 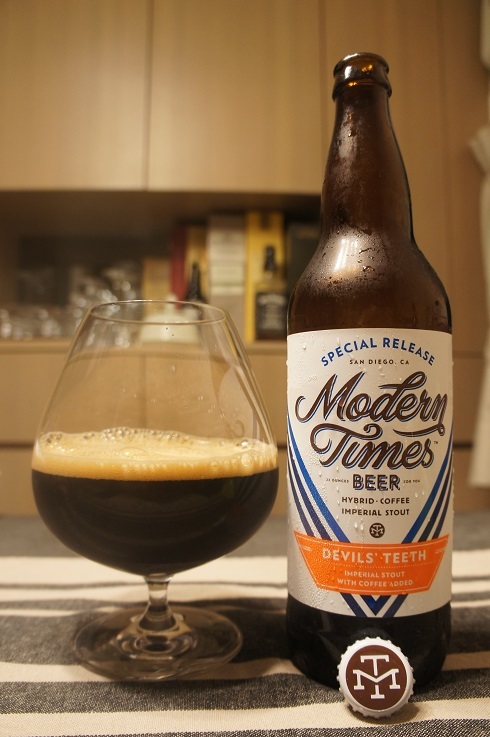 At first I thought, definitely Imperial Stout, but the more I drank and as it warmed, it grew into an enjoyable Old Ale with its nice chocolate, caramel and dark fruit. 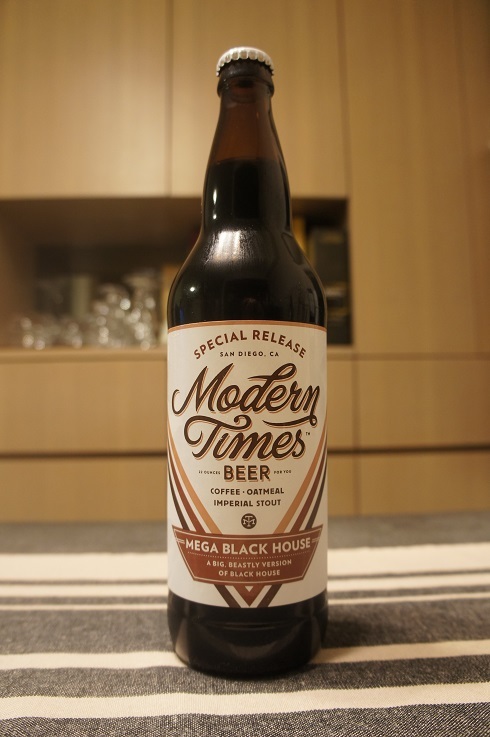 Brewer Description: (from bottle) Mega Black House is a big, beastly version of our year round oatmeal coffee stout. It rocks a massive coffee aroma & flavor from the vast quantities of house-roasted coffee added to each batch (did you know that we’re one of the only breweries in the world to roast our own coffee in-house? You didn’t, did you? DID YOU?) 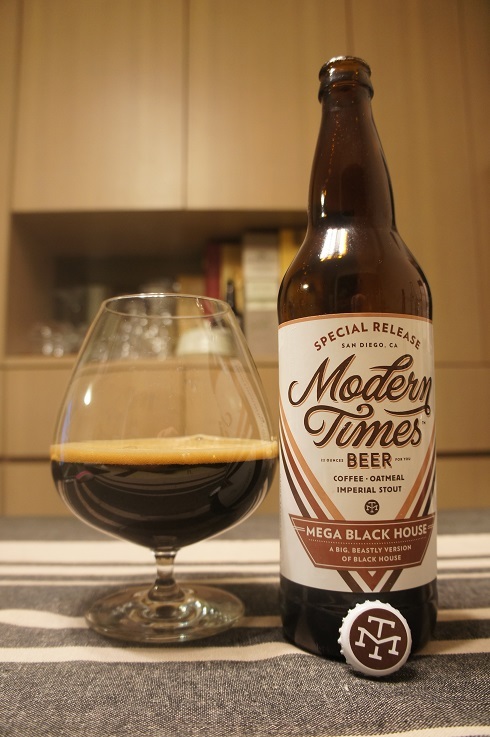 It sports a complex & chewy malt body that explodes with mucho sabor on the palate before leading into a long, lingering coffee-drenched finish. Appearance: Dark dark brown in colour with a half finger dark tan head that dissipated fairly quickly to a ring around the glass while leaving some spotty lacing. Aroma: Roasted malts, coffee, cocoa and chocolate. Taste: Roasted malts, lots of coffee, some cocoa and chocolate with hints of caramel. Overall: Nice coffee coming from the aroma and taste, but body is a bit light and carbonation perhaps a touch too much. Nevertheless, it was still extremely drinkable. Other Notes: 75 IBUs. Malts – Two Row, Carapils, Crystal 10 and Wheat. Hops – Citra, Motueka and Centennial. Brewer Description: (from website) Booming Rollers is a showcase for the juicy awesomeness of Citra hops. These new wave American hops impart a remarkable aroma and flavor, which we’ve amplified with the dark stone fruit character of New Zealand-grown Motueka hops. Some Centennial is thrown in to balance the tropical fruit party, and the malt body is just assertive enough to support Booming Rollers’ snappy bitterness. It’s a party in your mouth and all the beautiful people are invited. Appearance: It was a clear golden copper colour with a one finger white head and good lacing. Aroma: More subtle than I hoped for, but there is citrus fruit, grapefruit and pine. 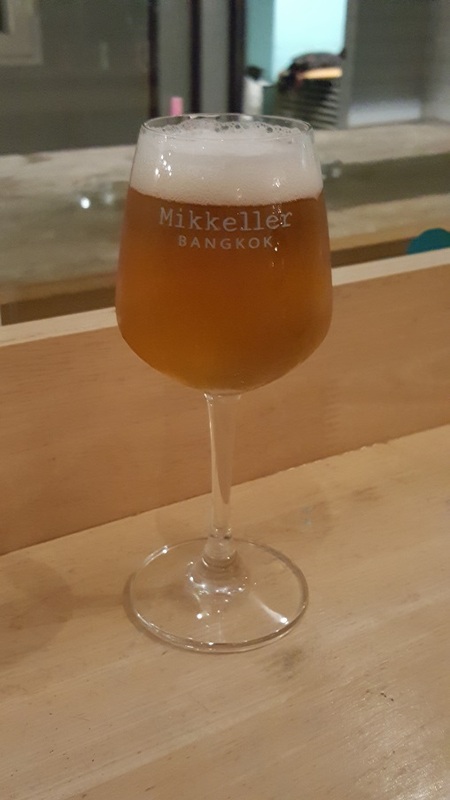 Taste: Similar to the aroma, it was bitter with grapefruit, citrusy lemon and pine along with some biscuit malt. Overall: This was just ok for me. I tried Blam! Blam! right before Booming Rollers and for me, Blam! Blam! was easily my preferred choice. Other Notes: 46 IBUs. Hops – Citra and Amarillo. Malts – Wheat, Two Row and Caramel Vienna. Brewer Description: (from bottle) Fortunate Islands is the citrusy, Citra-loaded, bomb-diggity hoppy wheat beer that we brew year round. 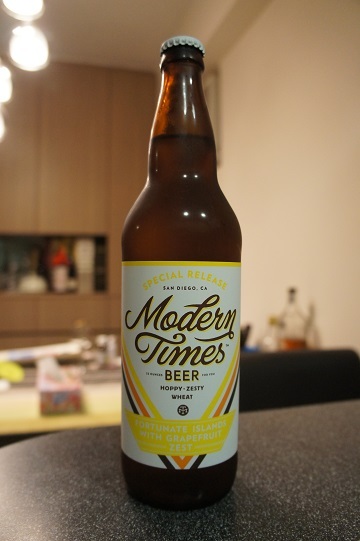 This marvelously grapefruity variation on it came about when we made a few one-off kegs with intemperate quantities of grapefruit zest back in July 2013. The results were so painfully refreshing & agonizingly awesome that we knew we had to make more. So here it is: a special release that tastes like summer and goes with everything. Enjoy! Intro: A 22 oz bomber with no visible bottled on date, poured into a Spiegelau American wheat beer glass. Appearance: It poured a very nice clear golden colour with a 2 finger puffy white head with pretty good retention that eventually settles to a thin layer and leaves some nice lacing. Aroma: Strong grapefruit zest with some flowery and grassy notes. Tropicalness creeps in every now and then with mango and peach. 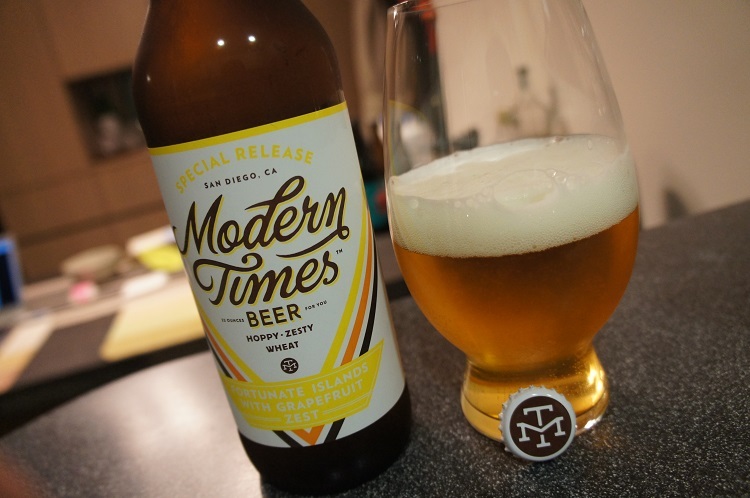 Taste: Much like the aromas, very strong grapefruit and grapefruit zest with a hint of mango. 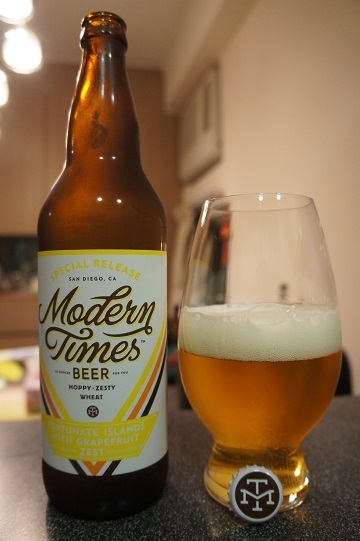 There is some mandarin sweetness and wheat flavours towards the end. Mouthfeel: Very crisp, light bodied with medium carbonation.